(CNN) - Pepe the frog, the once-innocent cartoon that was appropriated as a mascot of the alt-right, is at the center of a new legal battle. Matt Furie, the character's creator, is suing Infowars, the media company helmed by conspiracy theorist Alex Jones. In the lawsuit filed Monday, Furie alleges copyright infringement stemming from a stylized poster sold on the Infowars website. The $29.95 poster features a depiction of Pepe alongside other MAGA "heroes" drawn by artist Jon Allen, including Donald Trump, Roger Stone, Milo Yiannopoulos, Ann Coulter and Jones himself. According to the civil complaint, "Furie did not authorize the use of the Pepe image or character in this poster, and does not approve of the association of Pepe with Alex Jones or any of the other figures shown in this poster, or the 'MAGA' slogan." 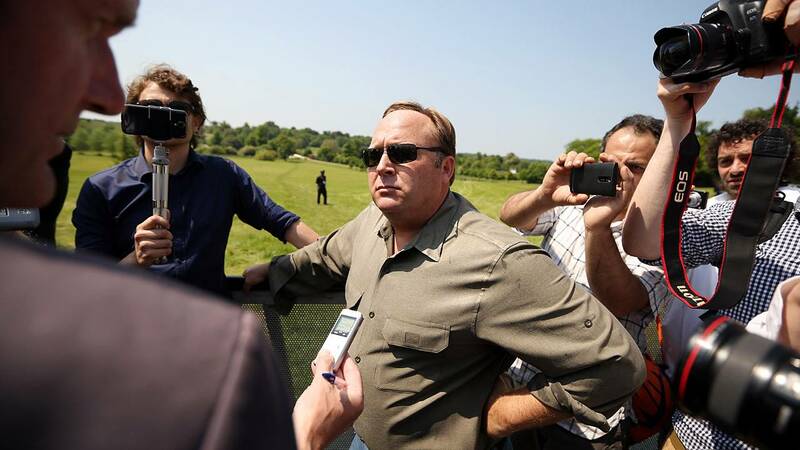 In an audio statement published on the Infowars YouTube channel, Jones calls the lawsuit "frivolous" and part of a larger attempt by media outlets to make Infowars "public enemy number one." "We did not create the posters, that are protected speech, that are transformative," Jones says, stating the use of the frog in an item for sale "is 100% protected by the courts, protected by the First Amendment, protected by fair use." Furie has tried desperately to rescue his laid-back frog from the swamp of alt-right and neo-Nazi troll patois, even going as far as "killing" the character in a 2017 cartoon. However, like the Hydra (both Lernaean and Marvel-esque), the beheading of the chief Pepe has only resulted in more spawn, as both the cartoon and general frog imagery live on in alt-right and white nationalist circles. Even Gab, a "free speech social network" that serves as a safe space for such folks, features a frog in its logo. Furie's lawsuit seeks unspecified damages and a permanent injunction against any further copyright infringements regarding his beleaguered creation.